Unity Park — The Rev. Linnette C. Williamson Memorial Park Association, Inc.
History: Built in 1996 by The Rev. Williamson Park Association. The name of the park was chosen in a community contest won by a Harlem resident, Patricia A. Brown-Walker. 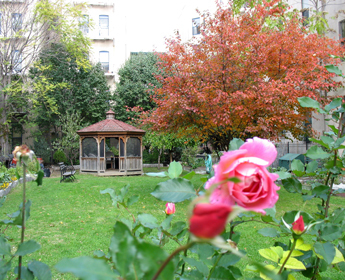 Unity Park was constructed on a previously neglected lot in response to a proposal from the New York City Department of Parks and Recreation’s GreenThumb program.